TAPA Room 210: How similar are you to Beowulf? How similar are you to Beowulf? Today in class, we'll be talking about the personality of Beowulf, the eponymous character of our first work in British Literature. As a method of comparing the kind of guy Beowulf is to a real-life person, you'll be taking a Myers-Briggs personality test. Through this test, you'll be able to easily identify what kind of person you are compared to many others. 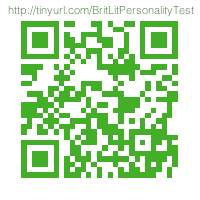 Your assignment will be to take the personality test and find out what your personality type is. The answer will be a 4 letter code (see the image to the right). Google your personality type, read up on the typical characteristics of someone with that personality type, and write a one-paragraph essay describing how you might be like that personality type.